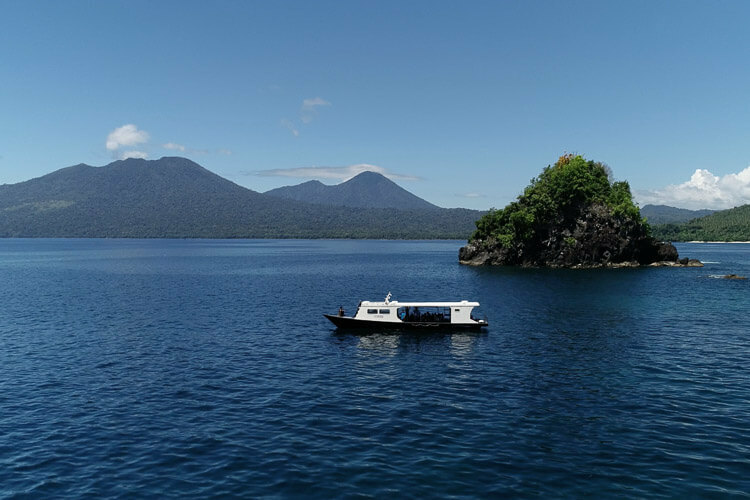 Luxury Dive Boats in Lembeh Strait. Diving Lembeh with Lembeh Resort. All of our dive boats are custom built with your comfort and convenience in mind. There are ample padded areas for your camera, hooks for other items and storage areas for your dive accessories. Our boats are spacious and they are all covered for protection from the sun and have a toilet, emergency oxygen, first aid kits and lifejackets. For those who wish to sunbathe or simply warm up in the sun, the bow of the boat is open and there is access to the rooftop sundeck. Our staff undergo annual training in CPR, first aid and emergency rescue procedures. Our boats are fully equipped with spare tanks and spare dive equipment as well as towels, fresh drinking water, fresh fruit and candies. For double-dives we also have hot water for coffee or tea as well as snacks and biscuits. 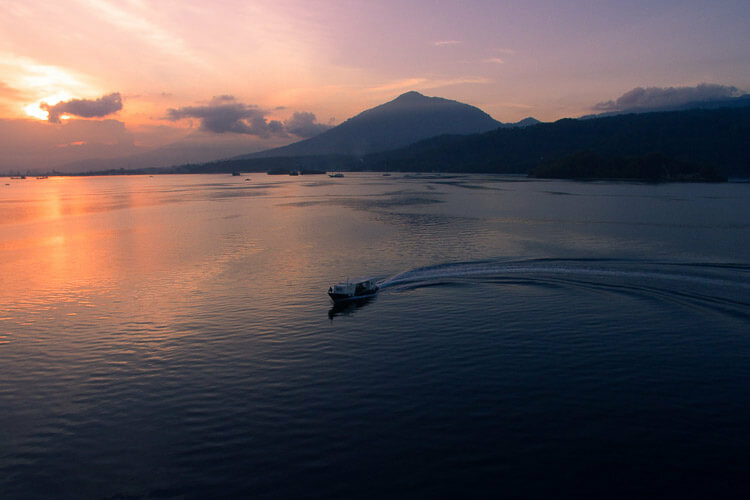 All dive operators in Lembeh Strait follow the rule of allowing maximum 15 divers to dive each dive-site at any given time. This means that your dive experience will be calm, quiet and private. 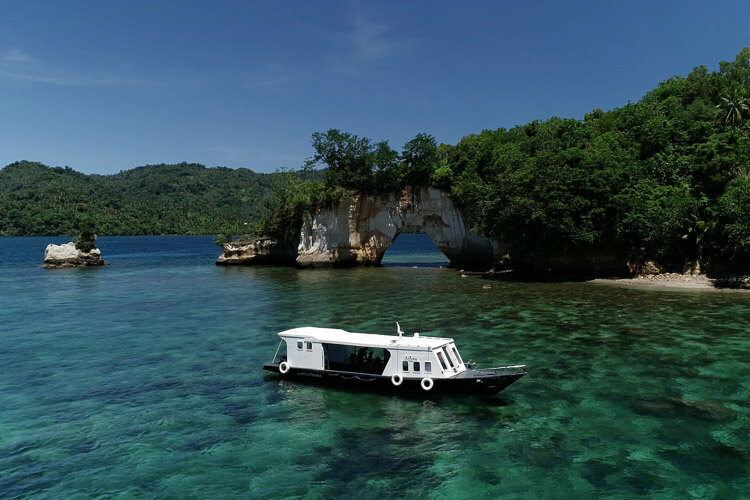 Lembeh Strait offers a variety of dive sites, some of which have beautiful top reefs like this reef which is only 3 minutes from Lembeh Resort. Our custom built dive boats have been designed with comfort in mind. When going out for day trips to Bangka or East Lembeh a rooftop sundeck to warm up is often welcomed by our guests, as is a restroom, a shaded area with comfortable cushions, towels, coffee, tea, snacks and fruits. 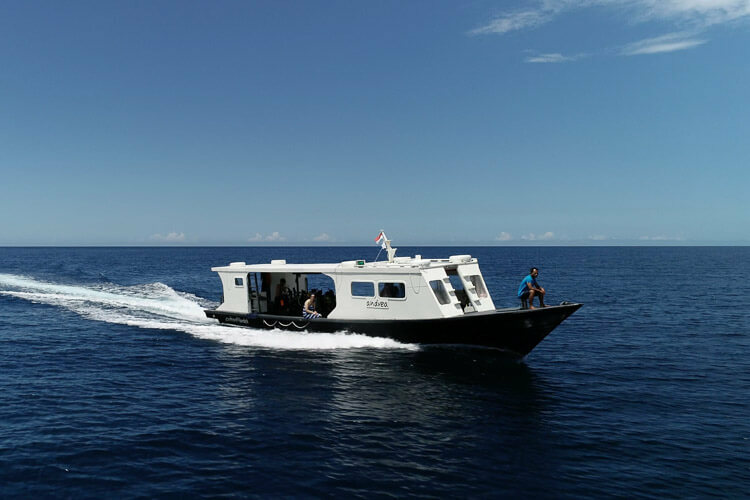 All boats are outfitted with fuel efficient low emission 4 stroke engines powered forward with 160-200hp depending on the size of the boat to ensure a comfortable but swift ride. With five boats we can customise the dive program to your liking. 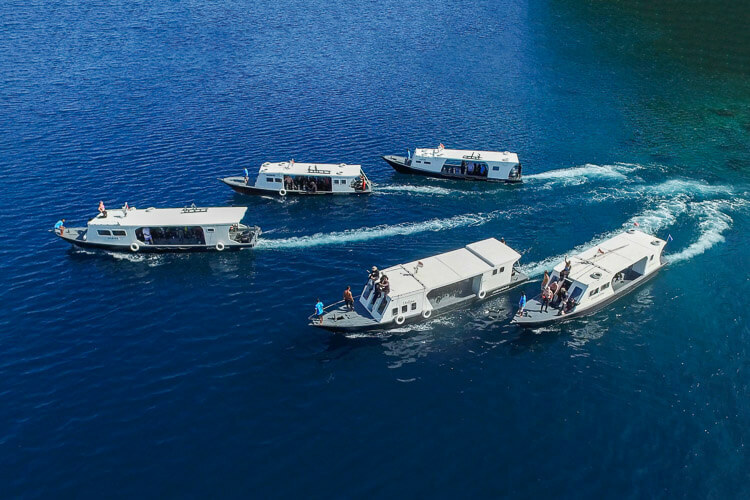 If you wish to have the utmost flexibility and comfort you can even opt for having your own boat with a full crew and guide ready to take you wherever you like, whenever you like. 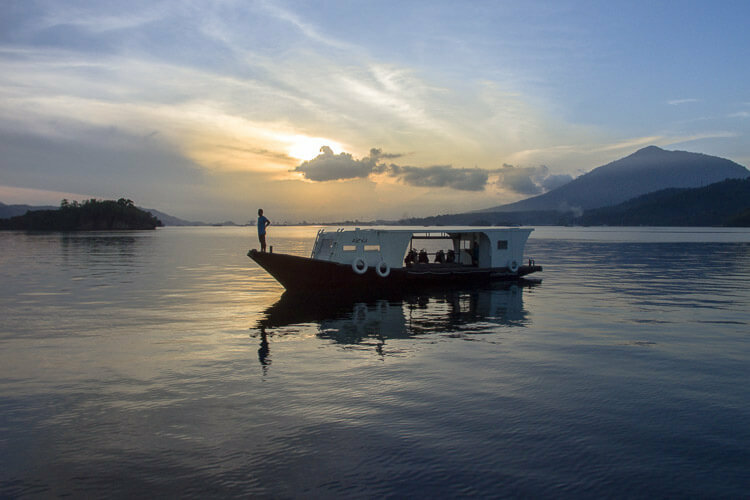 Night dives are a wonderful way to uncover some of the secret critters of Lembeh Strait. Night dives can be done from shore on the house-reef or by boat at a variety of calm and well protected dive sites.